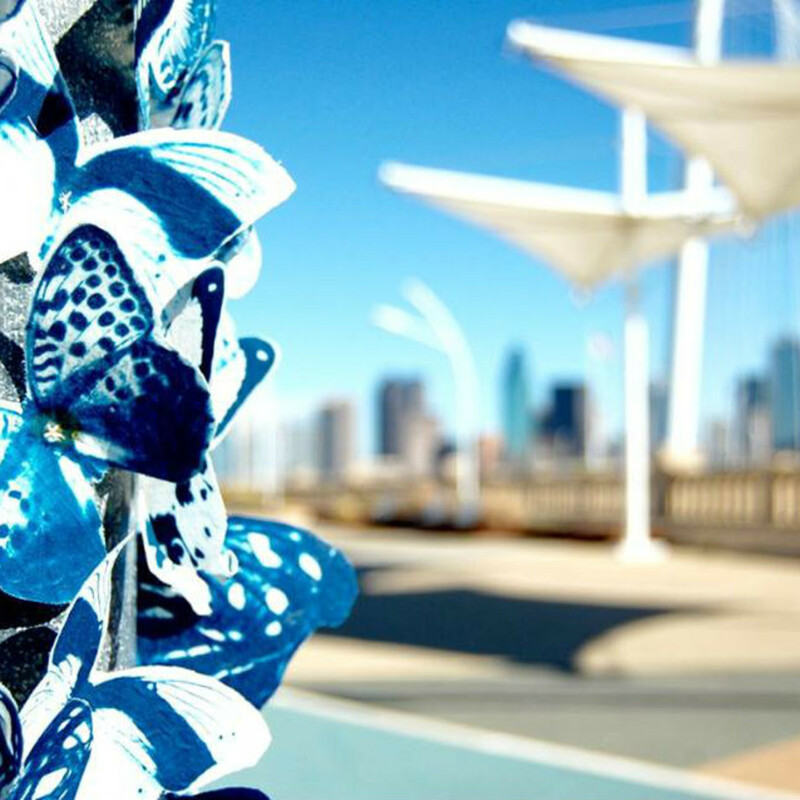 January isn't exactly butterfly season in Dallas, but you may have spotted a few around town. 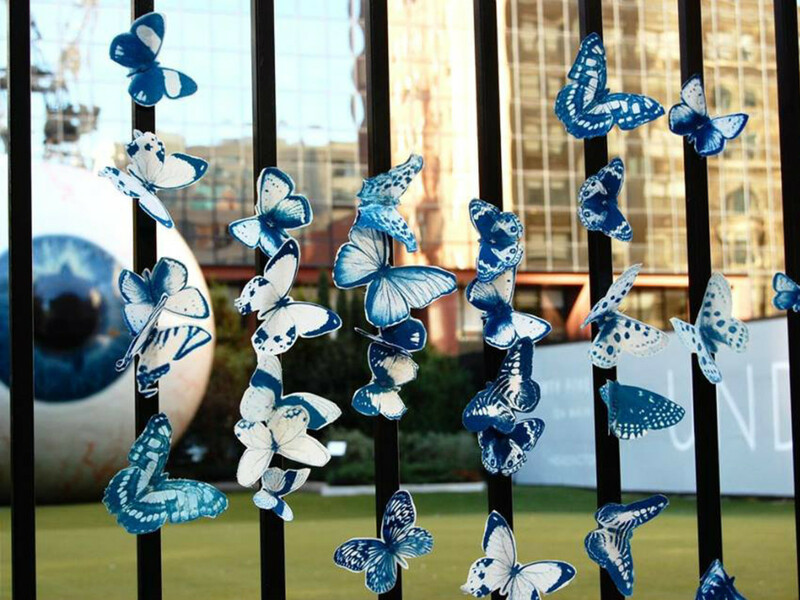 Delicate, blue, and adorning some of the city's most iconic areas, these butterflies are not living but are instead part of a global art installation called Swarm the World: Migration. Started in 2014 by Manhattan-based artist Tasha Lewis, the project has been seen in Europe, Africa, Asia, and even Antarctica. Lewis explains it as a social experiment designed to bring together artists from all over the world and as a continuation of her personal investigation of ephemeral street art. The project will involve the "migration" of 6,200 butterflies divided across 16 different regions, with each region having nine to 20 collaborators (except for Antarctica, where the butterflies will remain with one organization for seven months). 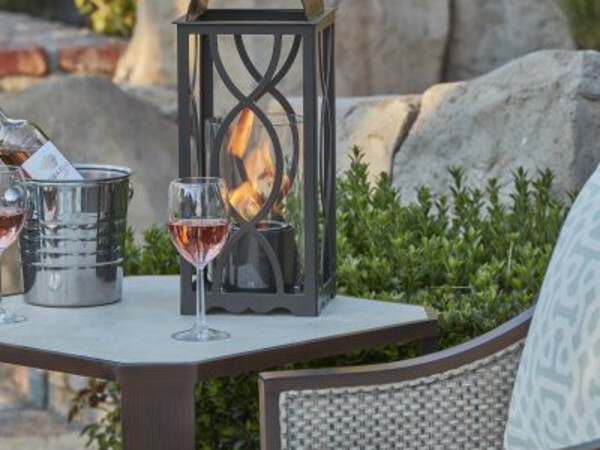 Every collaborator creates temporary, site-specific installations inspired by the local environment. The photos and insights generated by the artists will be shared on social media and the project's website. 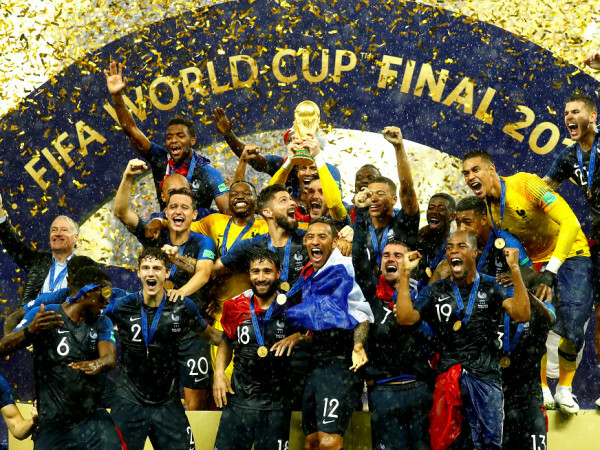 Local photographer Peyton Hayslip was one of the 200 photographers chosen to participate, representing not only Dallas but the entire state of Texas. 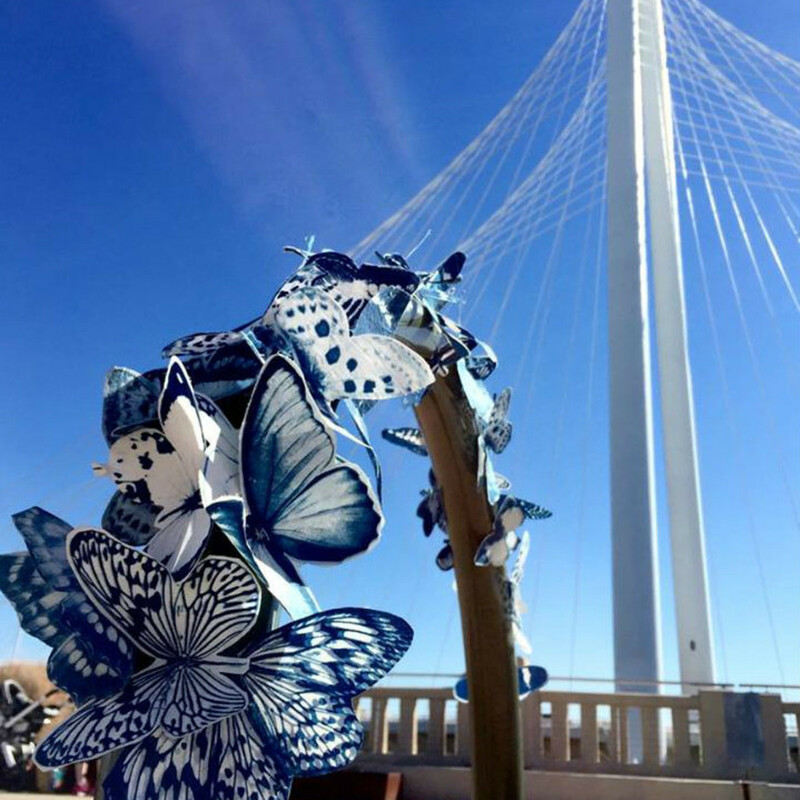 She was given 400 magnetic cyanotype butterflies and has placed them in Uptown, downtown Dallas, the Bishop Arts District, Trinity Groves, and Deep Ellum. 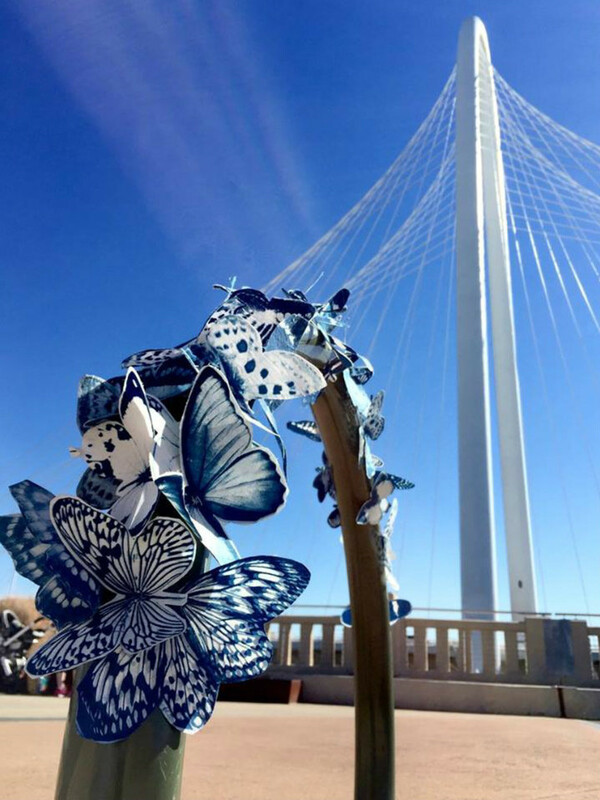 The one-of-a-kind photographs Hayslip has taken showcase Klyde Warren Park, the Margaret Hunt Hill Bridge, Eye at The Joule, as well as random street corners, newspaper stands, doorways, and anywhere else that Hayslip thought would be a good resting place for the butterflies. 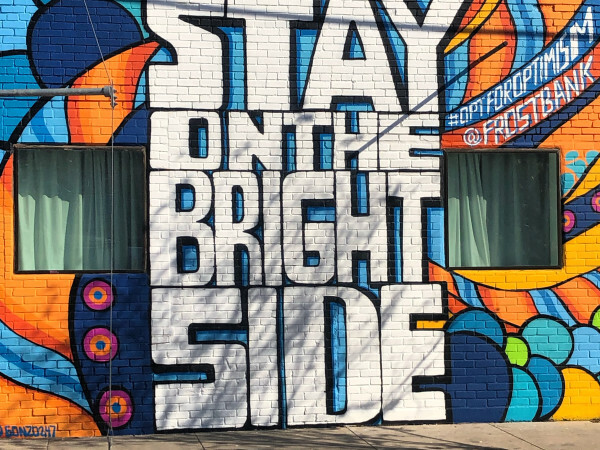 “Everywhere I created an installation people smiled, wanted to know more, and commented on how much more beautiful things looked when covered by the butterflies,” says Hayslip. 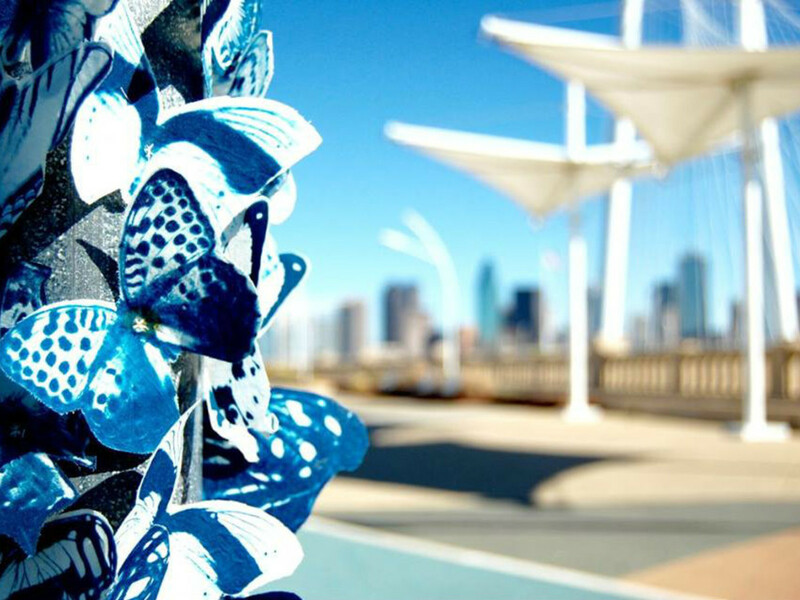 “While I wanted to try and show some of Dallas' more iconic views in my installations, I also wanted to find small things that people might not notice to highlight with a swarm." 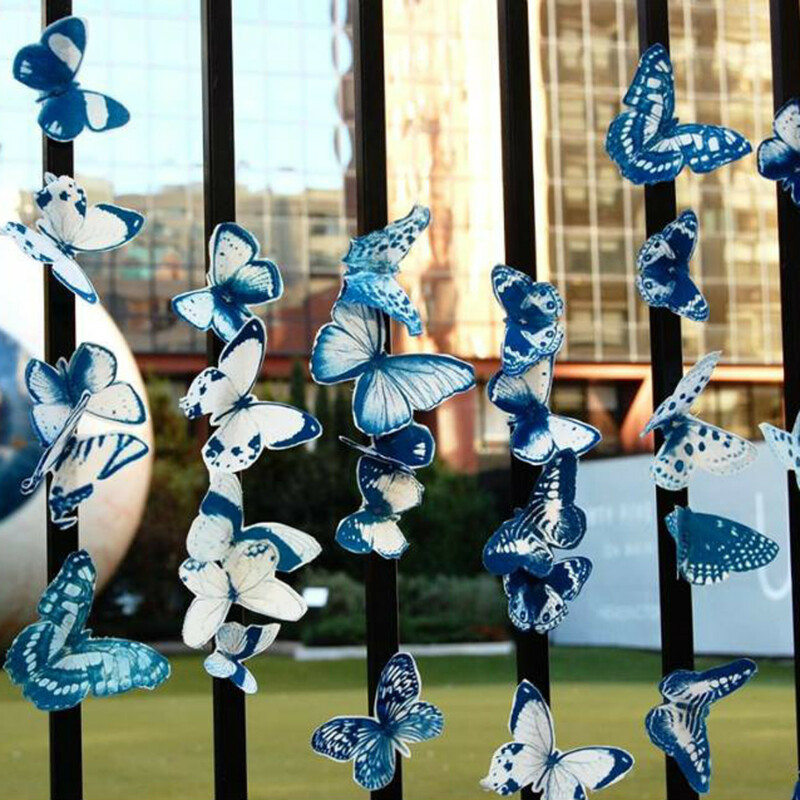 The butterflies will stick around Dallas for four weeks, after which they will "fly away" to their next destination.